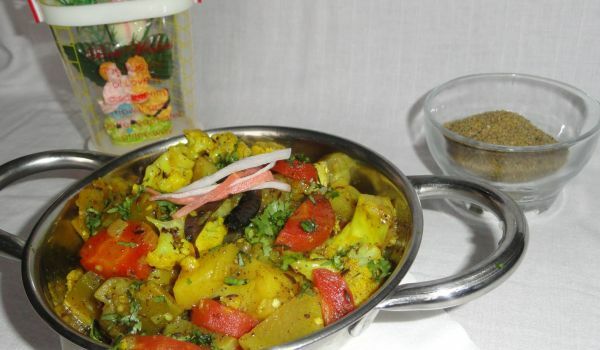 Labra is a dish from Eastern India and is very popular during the festive occasions such as Durga Puja. Seasonal vegetables such as red pumpkin, cabbage, cauliflower stem, radish, eggplant and potatoes are cooked with medium spices. The subtle curry goes well with rice or chapatti. Wash the vegetables and cut into medium sizes pieces. Heat oil and put panch phoran and red chilies. Fry till they turn brown. Put it over medium heat and cook it. Cook it for more 5 minutes.